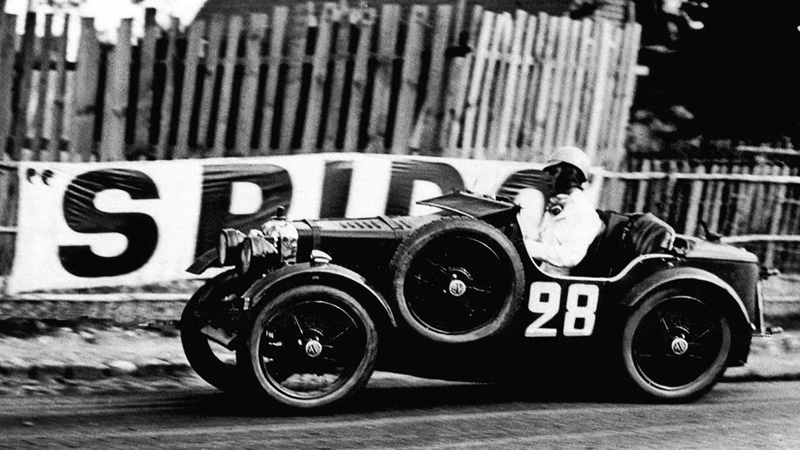 Sir Francis Samuelson and Freddie Kindell both drove modified Double-Twelve MG Midgets at the June 1930 running of the famous 24 hour race. While neither car was classified among the finishers they performed admirably, the model eventually spawning the MG ‘C’ Type which went on to much racing success in 1931 and ’32. This photo was found on eBay, the original print having been folded in half. Thanks to a Photoshop repair effected by Ken Martin it can now be viewed as the photographer intended. It’s Kindell’s car that is featured in this photo.